Computational Sustainability Virtual Seminar Series launches! We are pleased to kick-off the Computational Sustainability Virtual Seminar Series with a talk by Professor Stefano Ermon of Stanford University, co-author on ”Combining satellite imagery and machine learning to predict poverty” (Science, August 19, 2016) . Anyone may register here to receive connection details on this Zoom webinar (it’s free!). Please distribute this link to others who may be interested, especially colleagues and students. Recent technological developments are creating new spatio-temporal data streams that contain a wealth of information relevant to sustainable development goals. Modern AI techniques have the potential to yield accurate, inexpensive, and highly scalable models to inform research and policy. 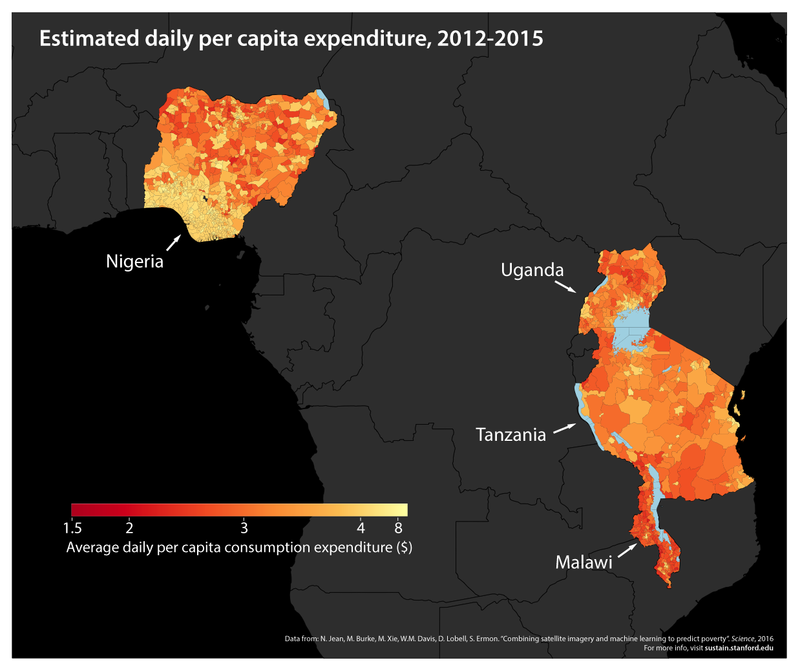 As a first example, I will present a machine learning method we developed to predict and map poverty in developing countries. 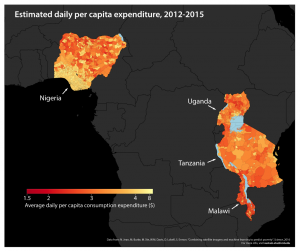 Our method can reliably predict economic well-being using only high-resolution satellite imagery. Because images are passively collected in every corner of the world, our method can provide timely and accurate measurements in a very scalable end economic way, and could revolutionize efforts towards global poverty eradication. As a second example, I will present some ongoing work on monitoring agricultural and food security outcomes from space. BIO: Stefano Ermon is currently an Assistant Professor in the Department of Computer Science at Stanford University, where he is affiliated with the Artificial Intelligence Laboratory and the Woods Institute for the Environment. He completed his PhD in computer science at Cornell in 2015. 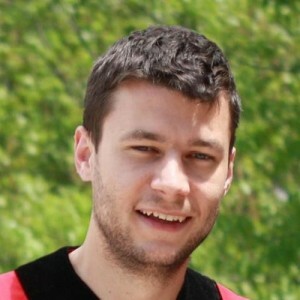 His research interests include techniques for scalable and accurate inference in graphical models, statistical modeling of data, large-scale combinatorial optimization, and robust decision making under uncertainty, and is motivated by a range of applications, in particular ones in the emerging field of computational sustainability. Stefano has won several awards, including two Best Student Paper Awards, one Runner-Up Prize, and a McMullen Fellowship. The Computational Sustainability Virtual Seminar Series will present talks by researchers and educators in Computational Sustainability, and is being sponsored by CompSustNet, with support from the National Science Foundation’s Expeditions in Computing program. Christopher B. Barrett is the Deputy Dean and Dean of Academic Affairs of the College of Business and the Stephen B. & Janice G. Ashley Professor of Applied Economics and Management and an International Professor of Agriculture in the Charles H. Dyson School of Applied Economics and Management, a Professor of Economics in the Department of Economics, and a Fellow in the David R. Atkinson Center for a Sustainable Future at Cornell University. I first met Andrew when he was a first year Ph.D. candidate in Economics and he dropped by my office to chat about his interests in development, particularly in Africa. 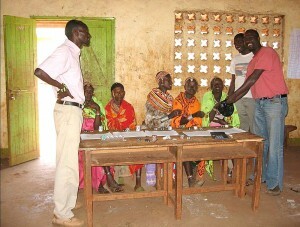 We had many stimulating conversations and I wound up supervising his dissertation, which ranged from applied microeconomic theory applied to questions of microfinance and informal lending for education – a common practice in rural Kenya – to empirical work on the functioning of farmers cooperatives based on original survey data he collected in rural Kenya. 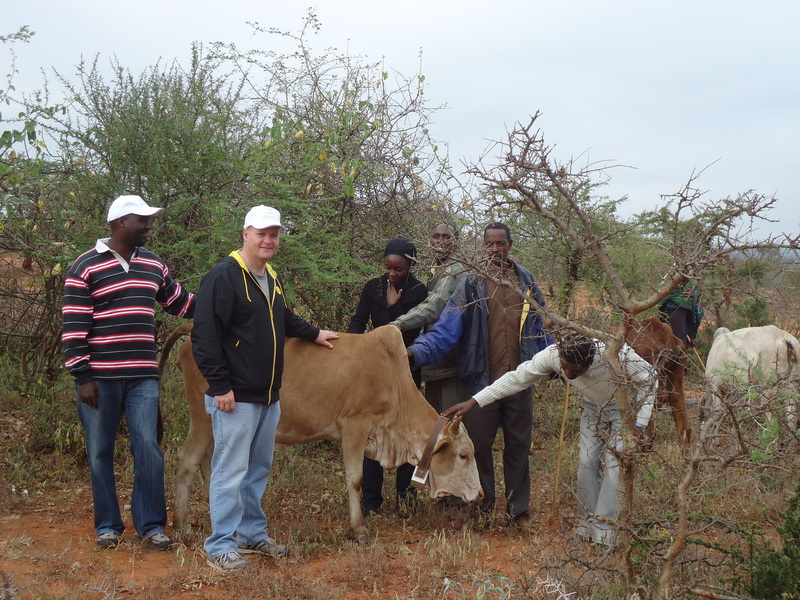 Toward the end of his doctoral studies, Andrew worked as my research assistant on a project using data from the Kenyan government’s early warning system in the pastoral drylands. As we studied those data we uncovered systematic patterns that led us to believe that one might be able to predict herd losses statistically with some precision. L-R: Andrew Mude (ILRI), Chris Barrett (Cornell University), Brenda Wandera (ILRI), two Ethiopian herders, Birhanu Taddesse (ILRI). Dr. Mude working with colleagues from IRLI and Cornell University to retrofit and secure GPS-enabled tracking collars for cattle in the Borena region of Ethiopia. Another of my Ph.D. students, Sommarat Chantarat (Economics PhD 2009) then took up the challenge of designing an index-based livestock insurance (IBLI) contract in her dissertation, which won national and international awards. Dr. Chantarat, Dr. Mude – who moved to the Nairobi-based International Livestock Research Institute (ILRI) after completing his Cornell degree — and I worked closely with other partners to get IBLI designed and commercially piloted beginning in early 2010. 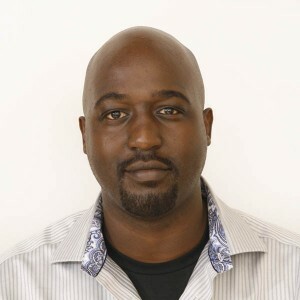 We have had an extensive collaborative work agreement with Dr. Mude’s team at ILRI since 2008, which has supported Dr. Chantarat’s work as well as a more recent Ph.D., Nathan Jensen (AEM, 2014) whose dissertation evaluating the impacts and uptake of IBLI also won international recognition. This has been an especially enjoyable, fruitful, and impactful collaboration, which we are delighted continues quite actively today. The range of projects we have undertaken together has broadened over time, increasingly including computationally intensive work with Institute for Computational Sustainability faculty and staff. This work to help address systemic risk among some of the poorest and most marginalized populations in the world is tremendously important and exciting. It is an enormous privilege to work with a collaborator as talented, committed and kind as Dr. Mude. With political divisiveness so often headlining the news, how refreshing it is to celebrate a centennial that demonstrates the power of countries coming together. One hundred years ago, the United States and Great Britain (for Canada) came together for birds when they signed the Migratory Bird Treaty, a convention to protect migratory birds across international borders. At the time, populations of many birds were plummeting due to poorly regulated hunting. The plume trade, for which an estimated 5 million birds — especially waterbirds like egrets and herons — were killed each year for feathers to adorn hats, eventually incited people to action. In response, the landmark treaty and subsequent act to enforce it (the Migratory Bird Treaty Act) protected more than 1,100 migratory bird species by making it illegal to pursue, hunt, take, capture, kill or sell live or dead birds, feathers, eggs and nests, except as permitted through hunting regulations for game birds. What made this treaty particularly inspiring was that President Woodrow Wilson and King George V made the pledge amid the chaos of World War I. Soon after, the treaty was used as a model for similar agreements with Mexico (in 1936), Japan (1972) and Russia (1976). The Migratory Bird Treaties and subsequent international collaborations to conserve birds show how, when taken together, these global and hemispheric actions are far more than the sum of their parts. Collectively, these efforts are paving a path forward to protect birds and the ecosystems on which both birds and people depend. International efforts are necessary to conserve migratory birds because birds don’t recognize geopolitical borders. Over the course of a year, songbirds, like the magnolia warbler, may spend 80 days breeding in the boreal forests of the northern U.S. and Canada, 30 days at resting and refueling sites during migration, and over 200 days overwintering in Latin American countries like Mexico, Belize, Guatemala and Honduras. Looking back at the last 100 years, it’s heartening to see that where we acted together, we had success. The plume trade was virtually halted, and populations of herons, egrets and ibises rebounded. Waterfowl, too, have benefited tremendously from multinational habitat restoration and careful hunting management, in part guided by the North American Waterfowl Management Plan and transformative legislation like the North American Wetlands Conservation Act that leveraged billions in funding for restoration and conservation of over 30 million acres in the U.S., Canada and Mexico. Hunters and sportspeople were instrumental in this success, as they became the key drivers of conservation. Our investments have paid off: Populations of waterfowl and other waterbirds have increased, and the wetlands protected along the way now keep our drinking water clean and reduce flood risk. But we need to do more. Unlike a century ago, when hunting decimated bird populations, today’s threats are more insidious. Birds are often collateral damage when habitat is lost and exotic species invade, and they are further endangered by collision with buildings and other structures, contamination, and even seemingly innocuous choices like letting our cats roam freely outdoors. These pervasive threats span geopolitical borders and, consequently, are best addressed through coordinated international action. Indeed, the recent “The State of North America’s Birds 2016” report indicates that without conservation action, over one-third of all North American bird species are at risk of extinction. The bottom line is that habitats healthy for birds are also healthy for people. We must work with diverse partners and stakeholders to identify conservation approaches, like sustainable forestry, that meet the needs of local communities and conserve birds and other species. Looking ahead, I believe that an integrated approach, where social and ecological needs are both accommodated, will be the hallmark of the next century of bird conservation. Rodewald is the Garvin Professor of ornithology and director of conservation science at the Cornell Lab of Ornithology, faculty in the Department of Natural Resources at Cornell University, and faculty fellow at Cornell University’s Atkinson Center for a Sustainable Future. Views expressed in her column are hers alone and do not represent those of these institutions. The Institute for Computational Sustainability was proud to support Ithaca High School’s Code Red club’s 2016 build and competition. The Code Red Robotics Team 639 is part of the FIRST (For Inspiration and Recognition of Science and Technology) groups founded by Dean Kamen. In 2016 more than 75,000 students in more than 3,000 teams in 10 countries participated in 74 regional competitions that led to 1 championship competition. ICS supported the local Ithaca High School team Code Red during the six-week build session when students and their mentors design, build and test a robot, and then participate in successive rounds of competition. Institute for Computational Sustainability especially admires the teamwork and creative problem-solving fostered by Code Red, which will prepare students well for further study in computer science, engineering, and design. 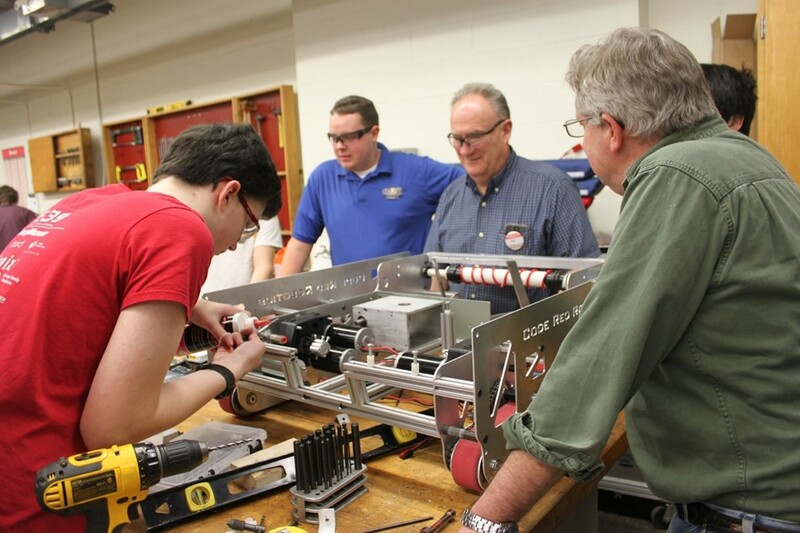 Freshman member Julian Perry works on the 2016 robot Predator’s frame, under the guidance of team mentors. This robot was designed, built and assembled during the 6-week build season. Anyone is welcome to join, and students can participate in a number of ways, so it’s not just for tech-trained nerds or kids who are super smart in math and physics. Many kids participate all four years of high school even though the time commitment during the six weeks of ‘build’ commits them to at least 31 hours each week over and above their regular classes and homework. 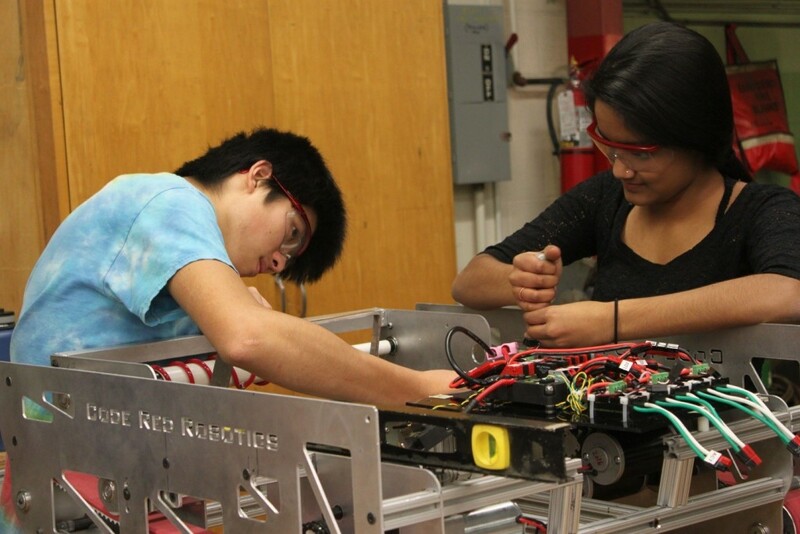 Seniors Pooja Reddy and Kenzo Uchigasaki work together on the 2016 robot frame, even as electronic components are being installed at the front. The team’s electronics subteam designs and assembles all of the robot’s electronics. Other subteams handle programming, media, CAD, and machining. Senior Kieran Loehr and junior Abigail Lee talk about the 2014 robot (now used as a demo robot) at the YMCA Healthy Kids Day. 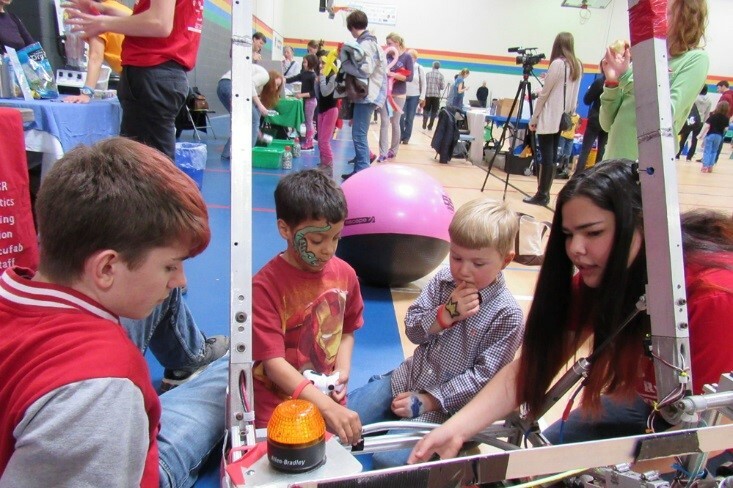 At the demo events team members show kids how the robot moves and plays games, and encourage them to come up to touch the robot and ask questions. Professor Gomes likes to support projects that are both competitive and cooperative, like Code Red. She is recognized as a leader in the computational sustainability field, having received a second 10-million dollar grant from the National Science Foundation to develop the field of Computational Sustainability, so her own projects are both cutting-edge and collaborative, bringing together multiple scientists and institutions from a wide range of fields. To see Team 639 in action watch this documentary produced by Ithaca College students. IHS junior Code Red member Abigail Lee and mentor Jim Bedore volunteer with Code Red at the Ithaca Sciencenter outdoor playground. Code Red frequently volunteers as a team around Ithaca, to clean up parks, work at the Ithaca Children’s Gardens, and more.